• Personalize these hang tags for your wedding, shower, christening, baptism, or any other special event! 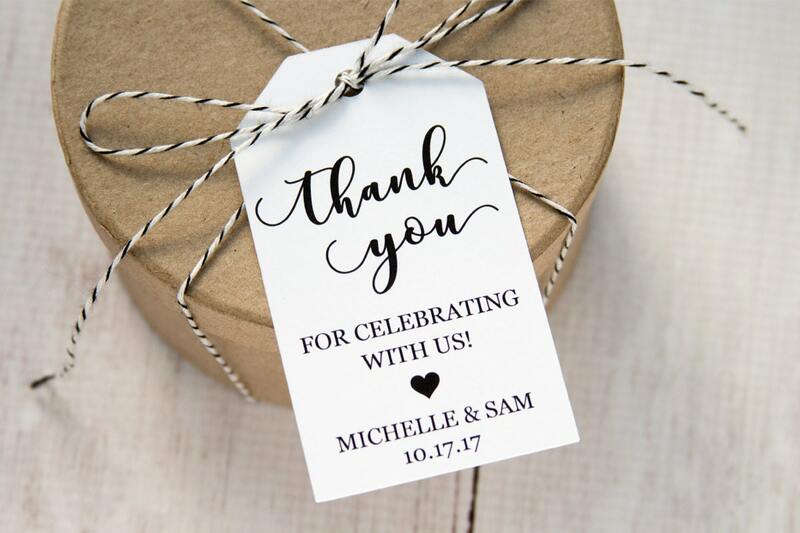 • They feature the words "Thank You for Celebrating with us" and the couple's names and date. Tags came quickly and designed as expected. They look great! These were perfect and so cute! Looking forward to attaching these to our wedding favors! These were adorable and added a great touch to my sons bar mitzvah favors! they came on time and personalizing them worked great. Thank you! !